When it comes to spring cleaning, much of your home is pretty straightforward—dust, vacuum, and finally get those windows washed. 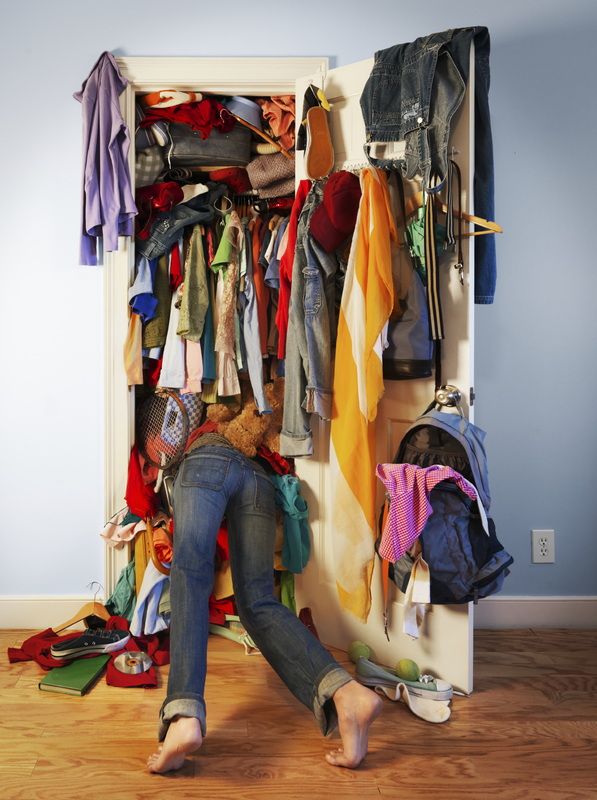 But there are a few hot spots that could use a little extra time and attention, as they tend to accumulate stuff: your closets, your garage and your home office (even if that’s just a corner of the kitchen). Clear everything out. Recycle, donate, toss, or set aside for storage as you go. Group like items. They’ll be easier to find. Promise! Prioritize new storage spot based on use. You shouldn’t have to wade through things you rarely use to reach the things that you use often. Only put back as much as the space will hold. Overstuffing and forgetting to leave room for new items all but guarantees a return trip to Clutter-town. In addition, follow these space-specific tips for making your closets, garage and home office well organized and a pleasure to use, this spring and beyond. Don’t forget the back of the door. Over-the-door pocket organizers for shoes, for example, work well for small items of all kinds. Consider adding a chest of drawers or cubbies. If you prefer to fold things rather than hang them, it could be well worth the space it takes up down low. Break up long shelves. Keep stacks of things from toppling into one another with shelf dividers or baskets that fit your unique space. Try this system with clothes. Face all your hung clothes in one direction. If you wear an item, face it the other way when you put it back. After six months to a year, it’s obvious what needs to go. Maximize vertical space. Shelving, pegboards and wall-mount racks are your friends. Embrace them. Hang bicycles within easy reach. Consider a floor rack for kids’ bikes, so they can grab and go with ease. Contain sports equipment. Try specialty racks or one durable garbage can each for bats and balls. Carve out a little landing spot. Make room for a rug, some cubbies or bins for shoes, and perhaps even a little bench to sit on when you take them on and off. Designate an inbox. This is the only place where new papers entering this space will land. Create a custom DIY reference-binder library—one for each group of papers you look at on a regular basis. Think: School schedules and info, clipped recipes and takeout options. Make a mail center. Corral envelopes, stamps, address labels and other mail-related items in one little container. Establish a paper management system. Find one that works for you. To prevent pileup, every paper should have a place! 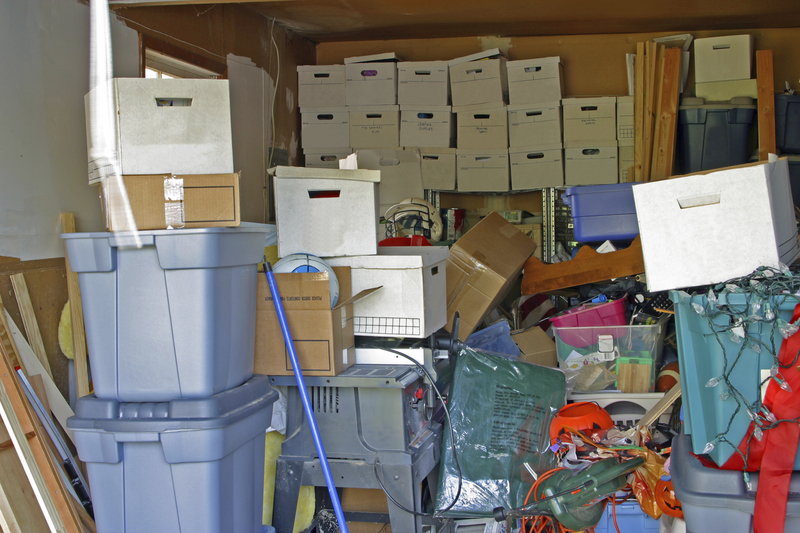 As you’re clearing the clutter from each of these spaces, you’ll probably find yourself with a pile of items that you don’t need easy access to, but don’t want to part with, either. Contact EZ Storage, and we’ll help you find them a safe, new home, short-term or long.